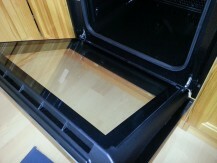 Oven cleaning at sensible prices in Doncaster. We are your local trusted oven cleaners in Doncaster. 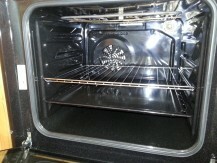 Offering a unique professional oven cleaning service in Doncaster and the immediate area. We will get your oven looking fantastic within just a couple of hours. It’s generally not possible to find products specifically for oven cleaning on the supermarket shelf. The products there are usually highly toxic and dangerous. Not something that you want close to your food! Cleaning your oven with these type of products can be dangerous. Not only that, it’s a hard job to get anywhere near the standard of Doncaster oven cleaners. So just relax and let us clean your oven to near showroom standards. You will be amazed at what we can do with your hard working oven. It will look fantastic when we are finished. Your oven will look great. And all this with our no mess guarantee. Highly trained experts trained in cleaning clean ovens, hob, cooker extractors, aga cleaning, oven seals and even replace bulbs! 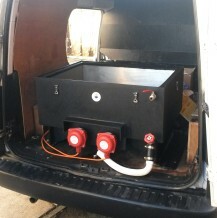 Using only the best non toxic oven cleaning products we use our vehicle fitted oven cleaning dip tank to clean your oven back to near showroom standards in less than two hours. Specialists in Professional oven cleaning Doncaster it takes us less than two hours to get your oven and hob looking like new. Trust our experience as your local professional Doncaster oven cleaner. No mess, no nasty chemicals, just good clean service! Our professional oven cleaning and hob methods are also great for aga cleaning. Perfect for a clean oven & hob in Doncaster. Doncaster oven cleaners prices are straight forward and easy to understand. So you can have your oven & hob looking brand new without worrying about the price! Oven cleaner Doncaster price promise includes aga cleaning. Oven cleaning is one of those things that needs to be done, but its just not worth buying the tools to do. It would cost thousands of pounds to get all the kit including the dip tank. Then there’s the oven cleaning training and the chemicals. All this for something that may only need doing once a year for a couple of hours. On top of that oven cleaning is a mucky job. It can take all day if you are doing it the diy way and the results are disappointing with shop brought products. We will clean your oven to look brand new. Oven cleaning need not be a chore. Just relax for an hour and a half or so while we strip and degrease your oven. We replace the blown bulbs and clean and replace the filter if you have a cooker hood. There is even better news, if you live in the Rotherham area and you are looking for oven cleaning in Rotherham we can book that for you too. With another family member we have now extended our area.